Hazelnut ganache with buttery crust. Each tart is about 5cm round in diameter. Storage: Requires refrigeration. 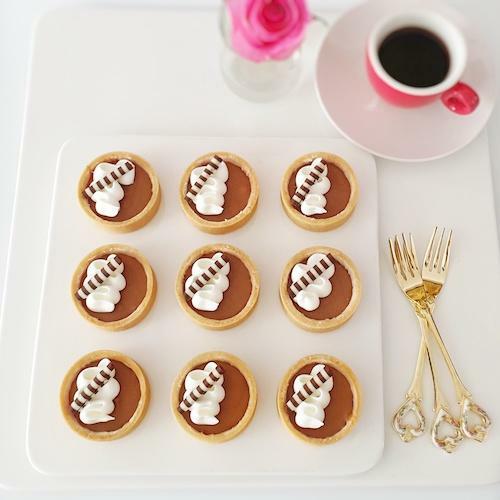 Tarts are to be served chilled. Allergens: Contain eggs and dairy.